This listing is for 4 necklace extenders that are 3" in length. 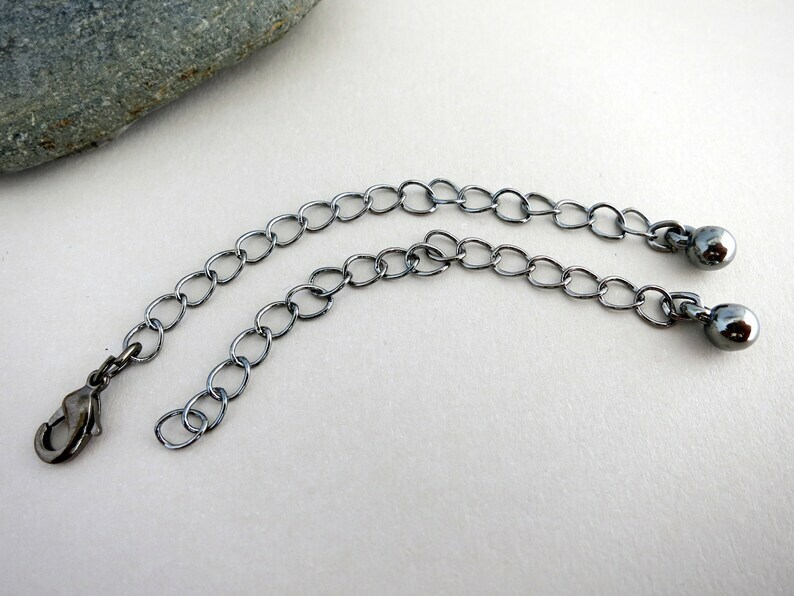 You can choose to have a lobster claw clasp added. It will be attached with a jump ring. 2 Metal Stamping Blanks, 1" x 6", Copper or Aluminum, Ready to Ship! 4mm Round Leather Cord 3 Feet, Black, Natural, Lt Brown, Antique Brown or Gunmetal, Boho Bracelet Leather, Ready to Ship! STERLING SILVER Lobster Claw Clasp 19mm, Ready to Ship!